Frank H. Klahn, longtime resident of Pacific Grove, passed away from complications following surgery at the Community Hospital of Monterey, CA on October 5, 2017. Born June 1, 1959 at Fort Kobbe, Panama Canal Zone, to Francis Klahn and Maria Elena Trigo Klahn, he is survived by his beloved wife of 27 years, Irina; his mother; his brothers Xavier, Rene, and Luis Candia; and many cousins, nieces and nephews. As the son of a career U.S. Army officer, Frank developed a sense of adventure, a love of travel, and an affinity for new cultures and languages. In his youth, he lived in Panama, Germany, and Virginia, eventually settling in Pacific Grove, where his father's last military assignment was at the Presidio of Monterey. He graduated in 1977 from Pacific Grove High School, where he was a starting fullback on the varsity football team. He was an active member of Young Life, an organization which he credited with defining and strengthening the values he would live by for the rest of his life. After graduation, he enlisted in the Army and studied Russian at the Defense Language Institute (DLI), graduating in the top 10% of his class. A voracious reader and lifelong learner, he was interested in military history as well as world languages and cultures. In addition to speaking fluent Russian, German, and Spanish, he studied other languages including Japanese. Stationed in Germany for three years as an Intelligence Analyst and Russian Interpreter, he grew to love German culture. After the Army, he continued his studies at University of Californi?, Davis, graduating with a double major in Russian and Economics. In 1983 he participated in a student exchange program that took him to Russia where he met Irina Gankina in St. Petersburg. Their instant attraction blossomed into a lifelong loving partnership. Frank and Irina were married in Monterey in 1990. From 1987 to 1993, Frank taught Russian at the Defense Language Institute in Monterey and was honored as "Teacher of the Year" by the Kiwanis Club. Curiosity, love of learning, and tenacity were the hallmarks of his personality. While working as an instructor at DLI, he was also earning his MBA at Golden Gate University, undaunted by the hard work required. He and Irina moved to St. Paul, Minnesota, where he studied law at Hamline University, earning his Juris Doctor. He spent the next ten years practicing law in Washington, D.C., with assignments in Germany, Russia, and Kazakhstan. He returned to his hometown of Pacific Grove with the goal of starting his own law practice. 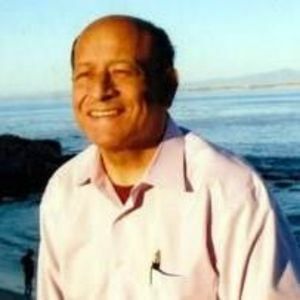 He loved public speaking and was an active member of Toastmasters Club in Monterey. With his winning sense of humor, Frank was happiest when making others happy. His generosity is legendary; nothing pleased him more than to spend time finding the perfect gift for a loved one. He volunteered at the Monterey Bay Aquarium, hosted foreign officers enrolled at Monterey's Naval Postgraduate School, tutored high school students, and participated in numerous community causes as his health permitted. His kindness and loyalty will always be remembered by his many friends as well as by family members. A memorial service will be held at the Paul Mortuary Chapel on Saturday, October 21, 2017 at 3pm. In lieu of flowers, the family suggests donations be made to the American Diabetes Association, PO Box 15829, Arlington, VA 22215, or online at Diabetes.org.